Marvel’s “Ant-Man” comes out July 17, 2015 and it certainly has most of us Marvel fans curious. So when the first photos of the Yellow Jacket hit the web yesterday it concerned some fans of the comic because it made Ant-Man and Yellowjacket into two separate people. Fans of the comics know that Ant-Man and Yellowjacket are both Dr. Hank Pym. Yellowjacket is just his aggressive and more violent alter-ego. However in the upcoming movie, Hank Pym won’t be playing either. Hank Pym will be an older scientist looking to pass on his Ant-Man gift to Scott Lang. This isn’t so different from the comics, as Scott Lang did take over the Ant-Man mantle. It also looks like someone has stolen Pym’s technology, and he is using Scott Lang, a burglar, to get it back in the movie. So it also would not shock me if someone else has taken another suite from Pym, the Yellowjacket suit. In the same way that Aldrich Killian was the baddie in “Iron Man 3”, Corey Stoll’s Darren Cross will be the villain in “Ant-Man.” So the bad guy needs a suit. 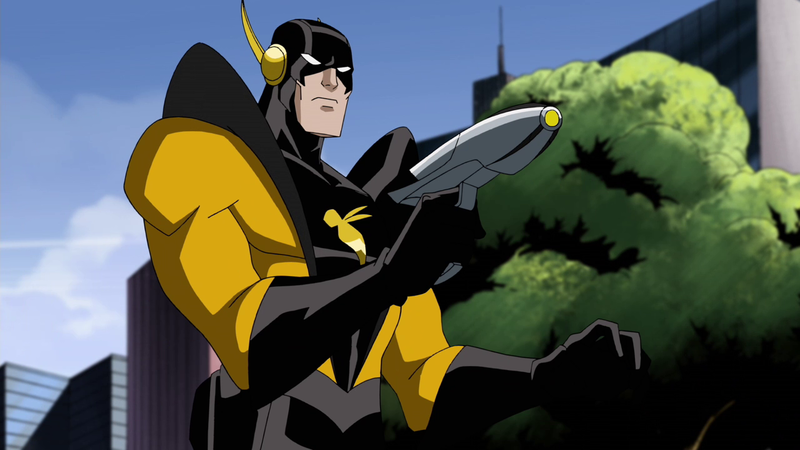 If he, as Darren Cross, is in possession of the Yellowjacket suit, of course he’s going to use it in order to fight Scott Lang as Ant-Man. Something to remember about the upcoming “Ant-Man” film is that they are taking certain liberties with the characters. Most of young Hank and Janet van Dyne will exist in flashbacks. It looks like Hope van Dyne (Evangeline Lily) will be taking on the role of Wasp. With all that being said, having Ant-Man and Yellowjacket exists has two seperate entities makes sense for the direction that they are going. Ant-Man may still have a few of us skeptical, but rest assured, Marvel has a plan. They always do. Posted on April 10, 2015, in Entertainment, Movies and tagged ant-man, marvel. Bookmark the permalink. Leave a comment.